While writing this short experience about my Erasmus Exchange, I am already halfway of my exchange abroad. It means that time is flying and that I should enjoy every moment that will cross my path. I am writing this story in my room in the center of Valencia in Spain, while it is still 20 degrees and too hot to wear a winter coat. Valencia is a city in the east of Spain, located next to the Mediterranean Sea and very well connected to other big cities and islands in Spain. Buses and trains run many times a day, and Ryan Air even has a basis in Valencia, which makes travelling around quite attractive. I could choose between Spanish and English courses, and I mixed them (2 Spanish, 2 English). The English courses are easy, but the Spanish ones are more challenging. The university also provides Spanish courses, of which the only problem is that more than 40 students attend the same class. This makes it hard to practice! However the university is beautiful, since it is a very big campus and you will find many restaurants, bars (you can drink during lunch break! ), hairdresser, sport facilities, etc. Being on Erasmus means that you are moving to a new place on your own and creating new social contacts therefore is super easy. In my first lectures I have met my new friends who I meet several times a week. 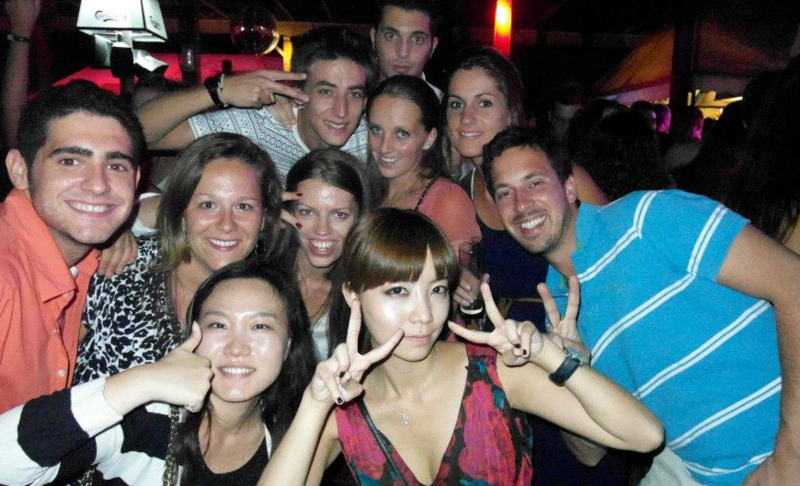 A lot of activities are organized by different organizations (Language exchange, beer pong, parties at clubs, tapas tours, travel tours, etc.). The only pity is that it is hard to find friends from Spain. Although there are some who like to practice their English and that is the reason I made some Spanish friends and we normally have lunch together to practice Spanish and English, which is very interesting! This exchange is a once in a lifetime experience and I didn’t want to miss it!